The heavy artillery Panzerhouwitser 2000NL self-propelled howitzer and the CV90 infantry combat vehicle are being taken care of. The so-called midlife updates (MLU) will keep these combat systems deployable and relevant until the end of their lifespan, State Secretary for Defence Barbara Visser announced today through separate letters to Parliament. What will happen to the Panzer howitzer 2000NL? First, the electronics are modernized and the ventilation system replaced. The ammunition loading system will also undergo an adaptation. For example, long-range projectiles will also be fired at the normal rate of fire. Finally, the armor is modernized and the night vision equipment is improved. The importance of sufficient strength is increasing due to the changed security situation. The equipment must deter considerably stronger potential opponents and serve to maintain dominance in a possible conflict. The PzH2000NL provides such striking power, with a high rate of fire and is very accurate. The Pantserhouwitser 2000NL (PzH2000NL), with a caliber of 155mm, is the army’s heaviest artillery piece. The artillery vehicle supports and strengthens the army units since 2005. The end of the life of the PzH2000NL lies between 2035 and 2039. The MLU will be implemented from 2020, together with Germany, and will cost between € 25 million and € 100 million. In addition to the PzH2000NL, the infantry combat vehicle CV90 also requires a major interim refurbishment. Its lifespan of 30 years is to end in 2039. This weapon system must be modernized from 2022 for the same reasons as the Panzer howitzer. Substantially stronger (potential) opponents demand sufficient strength to act in the highest spectrum of violence. 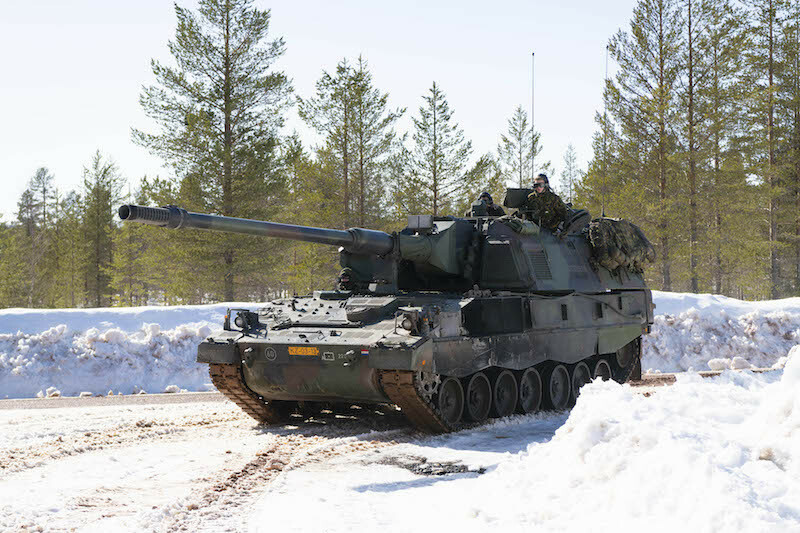 The CV90 is extremely suitable for woodland environments. The work includes the improvement of various functions. Think of protection, firepower, mobility, observation, command, maintenance and training. In the implementation of the MLU, cooperation with other countries that also operate the CV90 will be sought, as possible. In principle, the manufacturer carries out the work, but where possible the Dutch industry is involved. It costs between € 250 million and € 1 billion. The completion of both MLUs is planned for 2026.